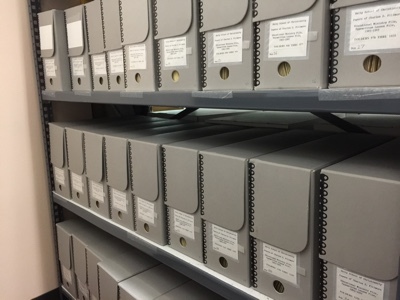 The Unity Archives, like most archival repositories, are arranged in collections, boxes and folders. What you see in this photo are many of the boxes that belong to the Charles S. Fillmore Collection. Inside each box are numbered folders and in those folders are original source documents. The goal of the Unity Archives Project here on TruthUnity is to make the contents of these folders available to anyone who wishes to see them, just as they would be available to you if you were to personally visit the archives and request to see the folder. We can do that using the Internet, your web browser and what are known as PDF files. But, why is this important? Why should we care? We should care because in Unity, nothing is important until it resides in consciousness. In other words, the collections, boxes and folders in the Unity Archives may be filled with truth in all it’s richness, but all that rich truth is of no use until it finds its way into the minds and consciousness of metaphysical students like you and me. Nearly everyone I know in Unity agrees that our mission is changing consciousness. Changing consciousness is the vision of the Unity Archives Project of TruthUnity. Its mission is the free flow of divine ideas from the Fillmores as a means of changing consciousness. Its strategy is the direct delivery by Internet technology of Fillmore teachings to the minds of those who would consume them. And its values are twofold. First is that people are informed enough to receive such a direct delivery of Truth without interpretation by subject matter experts, rewriting using modern language or summarizing for mass consumption. Second is that these same people will support such a free flow of content with tithes and offerings. So here’s what’s new. In December 2018 I visited Unity Archives and was able to digitize two boxes of folders. 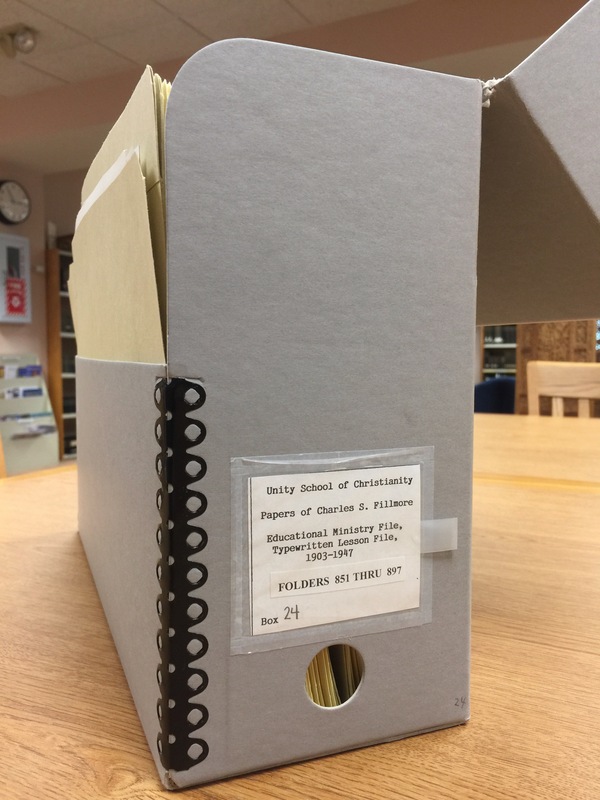 One box was from the Charles S. Fillmore collection and the other was from the Myrtle Fillmore’s collection of personal papers. You can browse their contents by going to https://www.truthunity.net/archives And for those of you who are transcribers, you now have 60 new folders of content to pour over and enhance for Internet search. I return to Unity Village in January 2019 and my goal is to digitize two more boxes, one box of Charles and one box of Myrtle. How do you like that pattern? Would you like to get a box of Charles and a box of Myrtle every few months? Note that the link for this project is in the footer of every page on TruthUnity. That it is not integrated into the content menu system of TruthUnity is intentional. We intend for this entire section to be moved over at some point to the Unity World Headquarters website. That is the end vision for the Unity Archives project. I hope it will serve you on your journey.